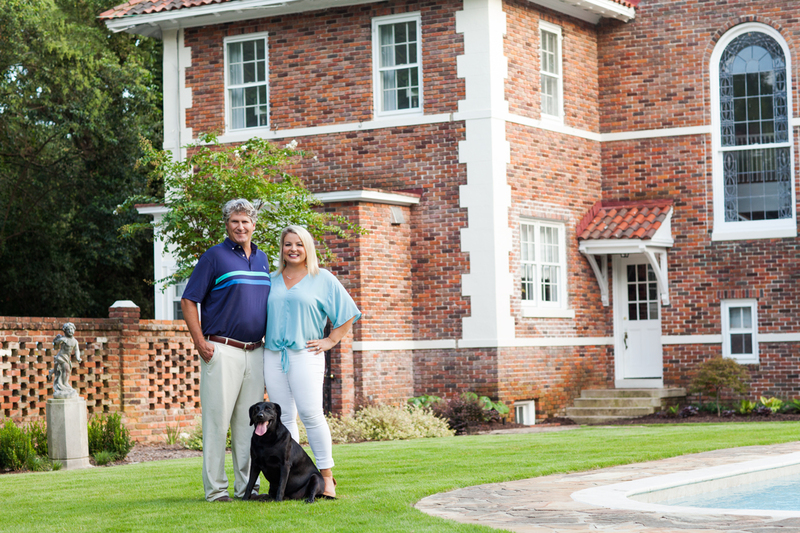 Built in 1926 in a historic Augusta neighborhood, the brick Italian Renaissance–style house had only three owners before Morgan and Justin Bundy bought it. In Augusta, all things somehow relate back to the Masters Tournament, and this grand house owes some credit to the golf event for its recent update. Thousands of people descend on the city every April, and many residents rent out their houses, explains homeowner Morgan Bundy. 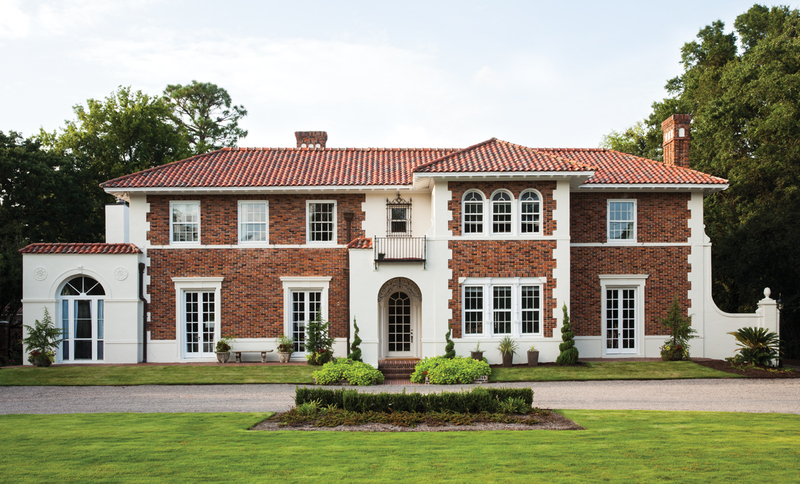 When she and her husband, Justin, were looking for a house to buy last year, they loved this 1920s Italian Renaissance estate for many reasons—its barrel-tiled roof, original details, and its potential as a stunning Masters rental. “When you first walk in the front door, you can see from one end to the other, which is so appealing,” says Morgan, who grew up in Augusta and knew the significance of the historic area dubbed “the Hill.” Morgan works in medical sales, but has always helped her mother’s business renting homes and facilitating activities during Masters week, so she had an incentive to update the house pronto for the tournament last year. Fortunately, Brittany Cason Johnston, an Augusta interior designer who had been looking for a large house to use as a showhouse fundraiser, stepped in. Justin Bundy grew up in Albuquerque, New Mexico, and the Spanish Mediterranean–influenced red tile roof appealed to him. “Justin’s previous house had been 100 percent bachelor pad, so we were starting from scratch,” says his wife Morgan, an Augusta native. 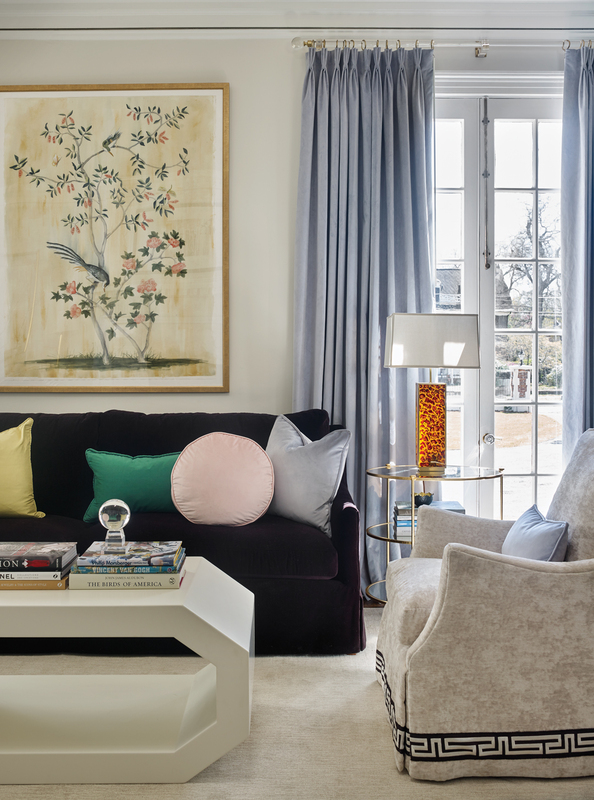 Designer Brittany Cason Johnston gave the living room Hollywood glamour—but with some modern mojo. “I wanted to conjure up the kind of room where Frank Sinatra is playing and people are sipping martinis,” she says. A geometric coffee table and traditional club chairs are accented with tortoise-shell lamps and a chinoiserie-inspired watercolor by artist Kat McCall. “It was perfect timing,” says Brittany. 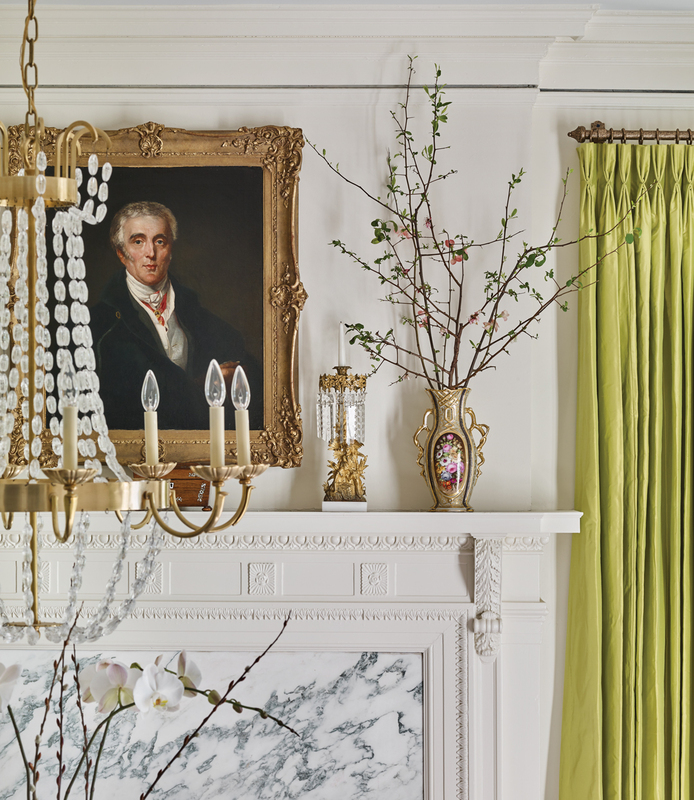 “We wanted to create a not-so-typical showhouse, and it allowed Morgan to avoid having to quickly make a lot of decisions herself.” Fortunately, the grand old manse—designed by architect Willis Irvin, who worked on the original Augusta National clubhouse—had been well maintained. The new kitchen merges modern and traditional sensibilities. 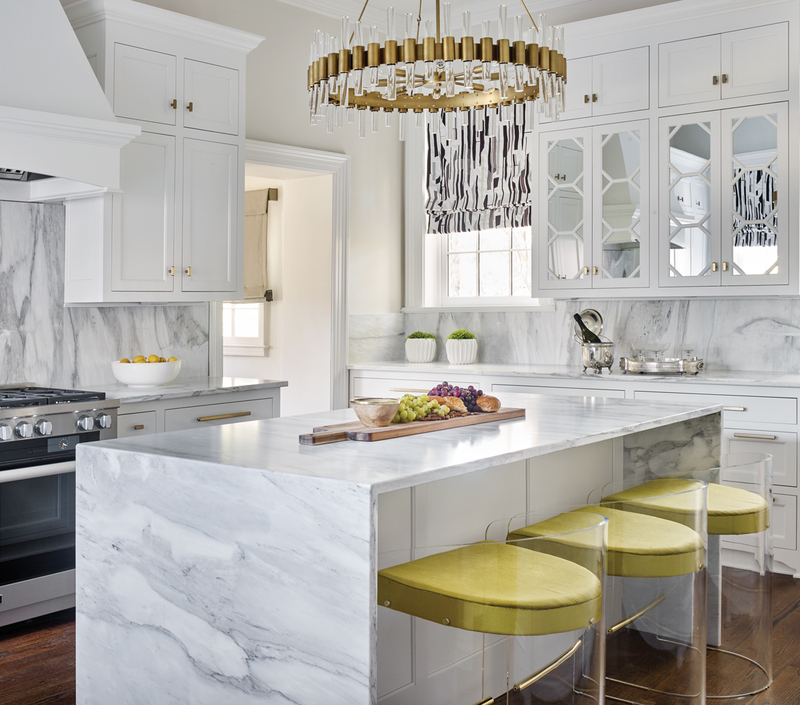 Classic shaker-style cabinets are jazzed up with mirrored honeycomb-shaped inserts on upper cabinetry. A curvilinear chandelier softens the square edges. “The chartreuse bar stools give a ‘wow’ to the room, and tie in to the dining room colors,” says Brittany. Acrylic stools have sloping arms to fit underneath the counters. 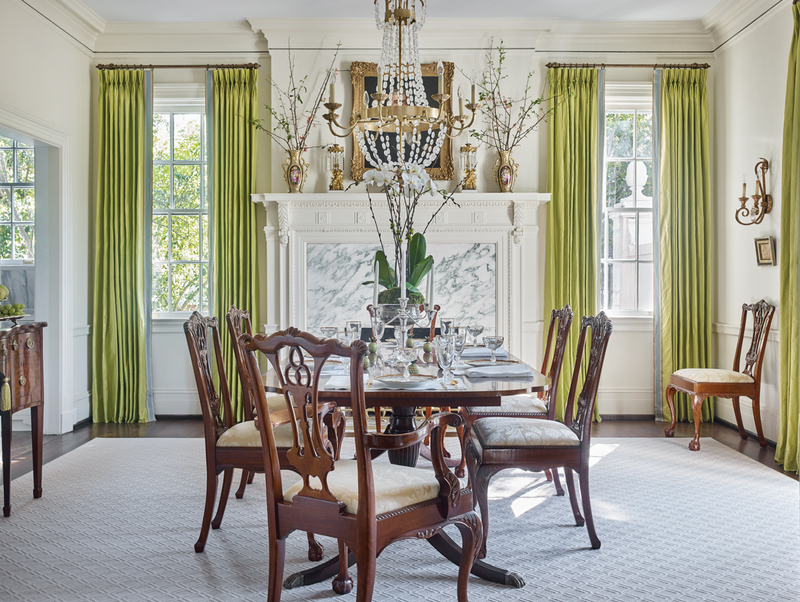 Augusta designer Julie Taylor livened up a traditional dining room with chartreuse window treatments and a Visual Comfort chandelier that references the past. To emphasize a sense of history in the grand room, she incorporated antique vases and a portrait of the Duke of Wellington. “We were able to leave the original molding, mantels, and doors and windows, and mostly just update the aesthetics,” recalls the designer. The kitchen got a full overhaul with new cabinetry and appliances, but retained its original square footage. A host of local designers tackled the interiors and outdoor living areas, injecting a cohesive array of color and whimsy. After a quick few months of decorating, the designer showhouse opened last March benefiting SafeHomes of Augusta, a domestic violence center. Iwanted this bedroom to feel like a boutique hotel, something sort of different,” says Morgan. Brittany paired the bold brown-and-white patterned fabric by Romo with a tinted blush ceiling and velvet pillows. 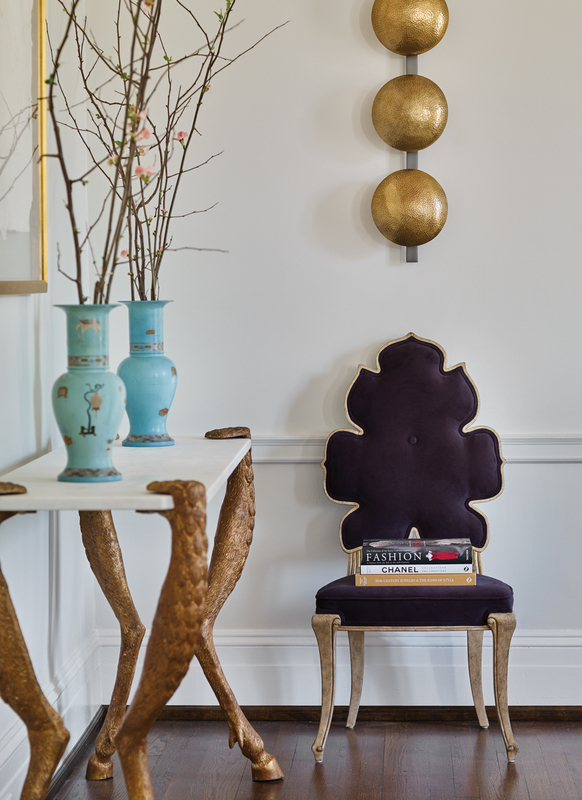 This corner of the living room features several conversation-starting elements: the curvy velvet chair by Global Views, blue chinoiserie vases from the 1930s, and a table with gold deer legs. The Bundys kept most of the furnishings, but they didn’t move in right away; instead, they opened the doors to a group of Spanish bankers for Masters week. After that, they took residence and began their own yearly traditions. “We turned this into a beautiful showhouse, but we also did everything to make sure this would be the Bundys’ ‘forever home,’” says Brittany. Landscape architect Matthew W. Raulerson, 770-530-0990. Landscaping Greg Poteet, Georgia Outdoor Service, 706-863-2114. Living room Sofa: CR Laine, crlaine.com. Watercolor over sofa: Kat McCall, kmccall.com. Velvet chair: Global Views, AmericasMart, globalviews.com. Kitchen Cabinetry: B & B Woodworks, 706-796-2003. Window treatment fabric: Donghia, ADAC, donghia.com. Appliances: Miele, mieleusa.com. Guest bedroom Window treatment and bed fabric: Romo, ADAC, romo.com. This article appears in our Spring 2019 issue of Atlanta Magazine’s HOME.